From the classics to the films of today, from Spanish language films to silent films accompanied by the 1927 Mighty Wurlitzer theatre organ - the historic Capitol Theatre in downtown York offers a memorable film experience for all! Ticket prices vary. Please see individual CapFilm event pages for ticket price information. Tickets can be purchased in advance or at the Box Office one hour before the film starts. No tickets are required for free film events. Every First Friday in Downtown York, CapFilm features a FREE First Friday Family Film, sponsored by OSS Health. Refreshments, including snacks, beverages and beer and wine are available and may be taken into the theater. 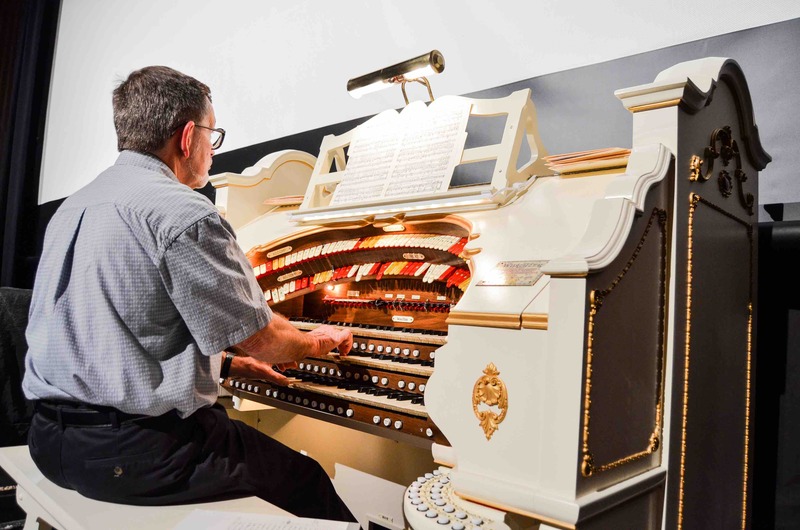 Guests are encouraged to come early to hear The Mighty Wurlitzer organ starting 30 minutes prior to many films. The organ is played by members of the Susquehanna Valley Theatre Organ Society and delivers a truly unique film-going experience. Select films are now available with Assisted Listening, Closed Captioning, and Descriptive Audio. Please ask a staff member for assistance.